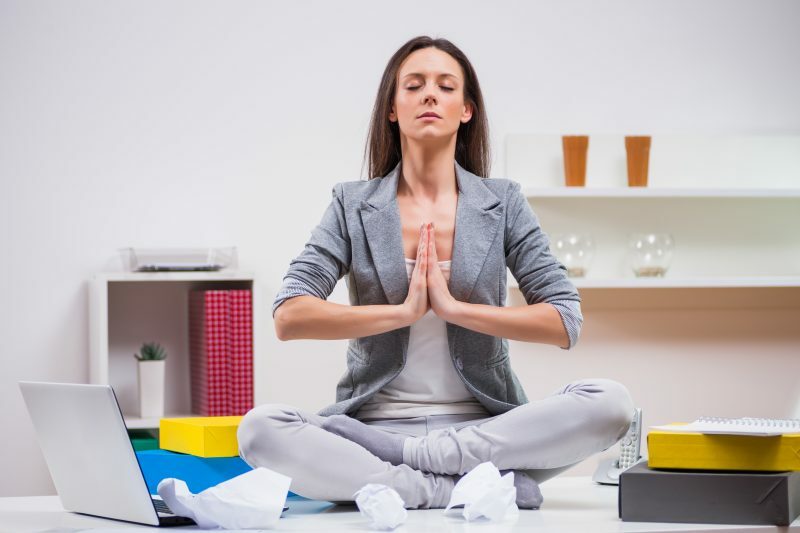 Work can be stressful, but that doesn’t mean we have to be stressed. Here at Inspired to Change we’ve pulled together our Top Tips to help you reduce work-related stress and start taking back some control. Putting yourself first is not selfish. It is not something we should feel guilty about. Putting ourselves first is actually of benefit to those around us at home and at work. If you run yourself into the ground then you aren’t going to be able to help anyone – you’re no good if you’re broken! Taking the time to look after yourself and setting boundaries that allow you to do that means that you can be the best version of you – the version of you that does the best you can at work, that comes up with great ideas that no-one else thought of and delivers great work product. The version of you that can support others around you when needed and brings out the best in everyone else. So put yourself first for once and allow yourself to feel good about doing it! Eat lunch, go for a walk, sit in and have your coffee rather than having a takeaway, wind down in a relaxing bath, bake, run, meditate, listen to music – be elsewhere! And then notice how different you are after that break. Notice how much more focused you are, how much more productive, and how much more clearly you think. Once you notice the difference it is much easier to place a value on taking that break, one that makes it well worth doing! Tip 3 – Don’t try the impossible! If something is impossible to achieve tell your boss! Manage their expectations and your commitment. You aren’t doing anyone any favours (yourself or your work) by not being realistic. Who knows, together you may even be able to find a better solution! Asking for help is not a weakness. Struggling on, on your own won’t get you anywhere and isn’t the most efficient way to solve a problem. Two heads are always better than one – two different perspectives, two different pools of experience, two lots of brain energy. Why stop at two, why not get a whole team involved with helping you move forward? And when you start asking for help you may find that others around you find it easier to ask for help too, building a real team spirit in your workplace. Food and drink provide energy for our bodies and our brains helping them to function at their optimal level. If we skimp on nutrition and hydration we don’t function so well, so don’t leave it to chance. Having a plan for your lunch (or better still taking lunch in with you) will help you to stick to good healthy food rather than running out and grabbing the easiest thing to eat whilst sitting at your desk (which is often not the healthiest!). And to help you stick to your healthy eating plans why not get some of your colleagues involved to so you can keep each other on track. If you have a desk job then make sure you get up and have a stretch and take a short walk regularly, even if it’s just to the kettle and back. If you have a job that is physical make sure you are taking regular breaks. Your brain and your body will thank you! When we set small, achievable targets it makes it easier for us to stay motivated. Every time we achieve something we get a hit of our feel good hormone serotonin which gives us a sense of achievement and motivates us to do more. The bigger the target we set the longer we have to wait for that hit of serotonin and the motivation that goes with it. So even if you’ve been set large targets, break them down for yourself and celebrate each achievement giving you a guaranteed hit of serotonin! We don’t live to work, we work to live. If we have a highly stressful job we need all the serotonin we can get to help us to feel motivated, focused and positive. But we don’t need to get all our serotonin from work, in fact it isn’t a great idea if we do. Remember Jack – all work and no play made Jack a dull, anxious and depressed boy. It is essential to have activities outside of work that enrich your life, whether that is a favourite hobby, exercise, time with friends or learning something new. And don’t get fooled into thinking you don’t have time because you are too busy at work. If you don’t make the time then you’re at danger of stress, burnout and physical health problems that will take you away from work at the doctor’s orders.